When someone is about to start a blog, then there are many things that one has to cate about. 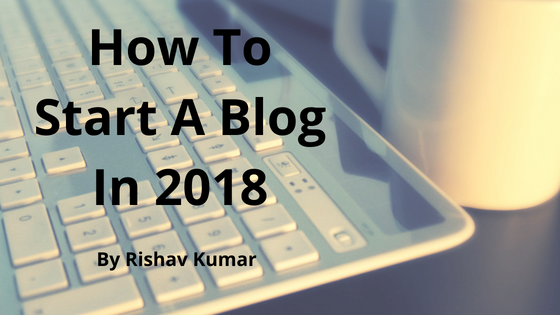 There are few steps that every bloggers has to do when someone wants to start a blog. There are some steps that anyone has to do to start a Blog. In the above list there is step of 'Domain and Hosting' , if someone buys a good domain and hosting then it may cost upto three thousand to four thousand. But if you don't want to spend a penny on blogging then you can start your blogging on wordpress free of cost. So, lets start the discussion about every steps in details. The very first step to start a blog is choosing a good topic(niche). The topic is very important part of a blog. It is a topic only about which you will write in the content. One should always choose a topic about which they alreary had some knowledge and experience. Before choosing a topic, one should anylise themselves thoroughly that in which field your knowledge is good. Always choose a topic in which you are interested. Choosing a topic according to your area of expertise and knowledge will always be successful and your blog will definitely grow fast. Plateform for a blog is like base of a building (i.e land). There are many plateforms available on the internet for blogging which is very difficult for anyone to choose one of them. Here are some good plateforms available for blogger. In the above list of plateform, two of them are most popular. One of the most popular blogging plateform for blogger. But everything has its own advantages and disadvantages. You have full controll over your blog/website and you can easily migrate to another plateform anytime with your full database of your website. There are thousands of plugins available for wordpress ,some of them are free and some are paid. There are also thousands of themes available for wordpress. Some of them are free and some are paid. WordPress.org is free we all know but it required domain and hosting for which we have to pay approx $5 every month. Blogger is free blogging plateform offered by Google. Blogger is a fully free platform and it is not required any charge for hosting and other things. You can run your blog without spending a single penny on your Blog. You can also run your blog live without purchasing a domain because blogging giving free domain like Yourblogname.blogspot.com and you can also change it to your custom domain. It is Owned by Google so it is the very great advantage of blogger. Blogger is very simple to use and customize. Blogger has a very simple interface and this is very easy for new bloggers to use. Blogger is the free platform so it has few themes to choose from. We can not customize blogger blog because we can not use plugins on blogger. If you are totally new about domain, then let me tell you what is domain? Domain is basically address of your blog/website. For example www.howtogetrich.cf is the domain of my website. It is the domain only through which one can get on to your website. In a very simple way, if your website is your house then domain is the address of that house. Now here comes about hosting. What is hosting? In very simple words, hosting is the land on which you are going to build your house. It is the online storage of your website on which all your website data are stored. Web hosting companies provide every tools for the website to stand on the internet. Now you have to purchase a domain and hosting for your blog/website. There are many domain and webhosting providers available on the internet with different charges. Some of the good domain and hosting providers are Godaddy and Bluehost. It is the theme only that provides good looking to your blog/website. Choosing a better theme is like better decorating of your home with good wall colorings and placing everythings at their propper place. A good theme gives good look to your blog. So you should choose a theme carefully. If you are using wordpress self-hosted plateform then there are numbres of theme options available for you. Some of those themes are premium and some are free. You Can easily find themes on the internet. Content is the king. It is the content only which makes your blog goes viral. Your content must be very helpful and meaningfull for the readers. Always write content for helping others not for earning money. Help others, money will itself hepl you. Always write content about which you are interested to write and also maintain 100% accuracy. Here accuracy means you should not make any grammer mistakes while writing your blog. You can use grammerly, a google chrome extension that checks your writing error in real time. You should also post some images in content for good looking. Your content should be written in a simple way that one should easily understand easily. SEO ( Search engine optimization) is way of optimising your blog/website in such a way that your blog/website ranks first on the google search engine. Thats why it is called search engine optimization. Better SEO only gives better ranking of your website. And better ranking of the search engines gives lots of traffic to your website. If you have written many post on your blog and you have very few traffic that means your blog and post both need a better search engine optimization. It is mainly of two types, first in on-page seo and second is off-page seo. SEO is the main factor for huge traffic on your website. I am really thankfull to all of my readers and hope this post is enough to learn how to start a blog.